His Holiness Pope Francis has appointed Most Reverend Bishop Charles Palmer-Buckle as the new Archbishop of the Archdiocese of Cape Coast. Archbishop Bishop Palmer-Buckle replaces Archbishop Mathias Kobena Nketsiah, former Bishop of Cape Coast after he retired at the age of 75. The Reverend Father Lazarus Anondee, the Secretary General of the Catholic Bishop’s Conference in a press briefing in Accra said the announcement was released by Most Rev. Jean Marie Speich, the Apostolic Nuncio. 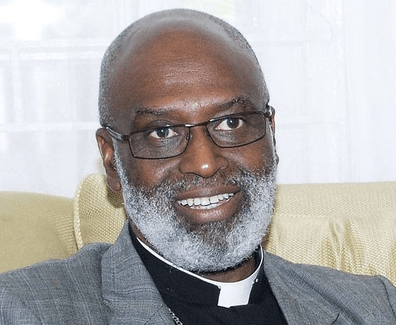 In an interview with the Ghana News Agency in Accra Rev Anondee, said Archbishop Palmer-Buckle would be installed as the new Archbishop of Cape Coast within two weeks. He said so far no Bishop has been appointed to the Accra Arcdiocese as at the time of the press briefing, so in the interim, an Administrator would be appointed to replace Archbishop Palmer-Buckle for the Accra Diocese before a substantive Bishop is appointed.